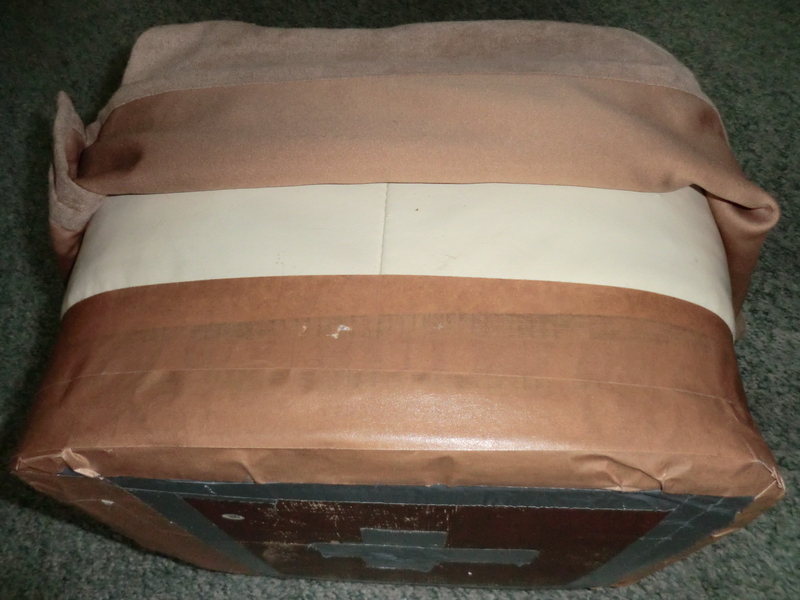 Last week I showed you the ottoman I recovered. The photo I posted did not show the damage…or the gray Duct tape. After I made the cover, I found some Duct Tape in my basement that matched it. I taped it over the gray tape. View of the base of my ottoman. Now if the skirt on my ottoman cover ruffles in the breeze there will not be any gray revealed. 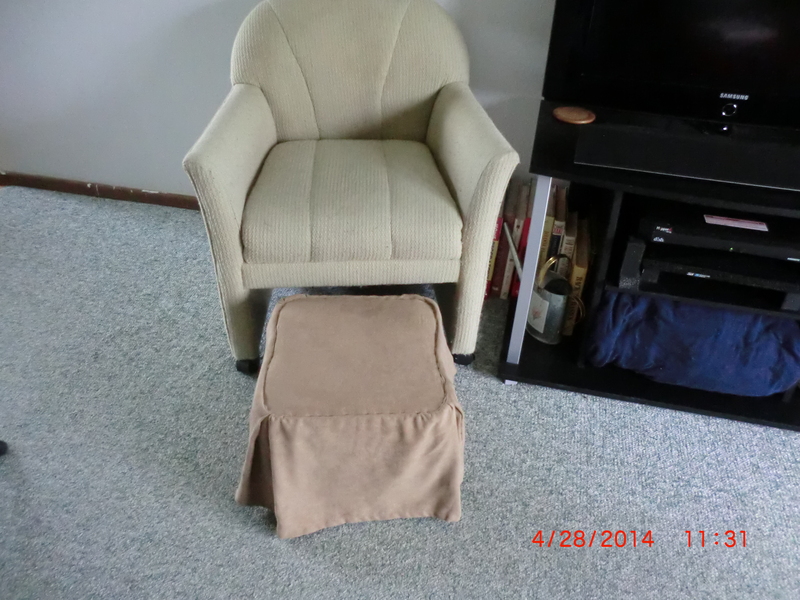 When I am using the chair the ottoman slides right out. This entry was posted in Decorating, Repair, Use What You Have and tagged Decorating, Repair It, Use What You Have by Frugal Fish. Bookmark the permalink.